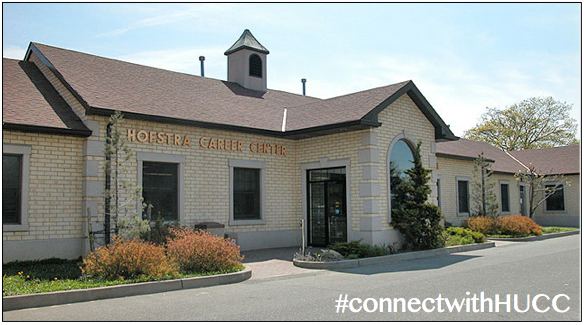 I am one of the Assistant Directors of the Career Center, where my main role is counseling students and alumni through any and all things they may be experiencing relative to their career journeys! Of course, I love to help all students, but my specific liaison area is the Hofstra College of Liberal Arts and Sciences (HCLAS) and the Honors College. My favorite class when I was in school was during my last semester of college; it was called "Baseball and Society." 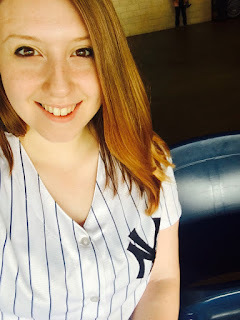 I'm a huge baseball fan (GO YANKEES! ), so of course I was interested in the subject matter, but it was fascinating to explore the different political, economic, racial, and gender issues that have arisen throughout the history of one of the most traditional American pastimes. Across from Hagedorn Hall, there's a bench that sits underneath a bunch of trees and looks towards the building. When I was a graduate student here at Hofstra and I was early for class or had some time in between, I would sit on the bench and read and just relax. In the Spring, that would be one of the first places they would plant the tulips, and it was beautiful! Baseball season! J But weather-wise, I would say that Fall is my favorite. I love seeing the leaves change color; going to college up in New England gave me aw hole new appreciation for how beautiful fall foliage can be (not that it isn't still beautiful here at home!). Plus, that feeling when the air starts to cool down from the heat and humidity of the summer is so refreshing. No matter how busy the school year gets, remember to HAVE FUN! Take a break from your studies to walk across campus and grab a cup of coffee with friends. Make an impulse devision to walk a different way to class than you might usually take; you never know what you'll find! Walk into a club meeting and see what it's all about, even if you don't know anyone. College is a time for taking chances, so jump right in!